​Arsenal legend Martin Keown believes the club's recent big-money signings of Pierre-Emerick Aubameyang and Alexandre Lacazette are the main culprits behind Aaron Ramsey's impending north London exit. The Welshman is out of contract at the club in the summer and his proposed free transfer to Juventus seems all but complete - with the midfielder set to finish the season at Arsenal before departing to Italy. The Gunners broke their transfer record twice with the acquisitions of forward pair Lacazette and ​Aubameyang for a combined total of over £100m, and Keown, speaking to the ​Daily Mail, has pointed at those signings as the reasons for Arsenal's inability to retain the 28-year-old's services beyond the current ​Premier League season. “Juventus looks the most likely destination for ​Aaron Ramsey when his contract runs out at the end of the season. The Italian champions must be rubbing their hands together," he said. “Ramsey has conducted himself with great dignity this season but it is astonishing that Arsenal, a powerhouse in the English game, could not put together a package to keep him." 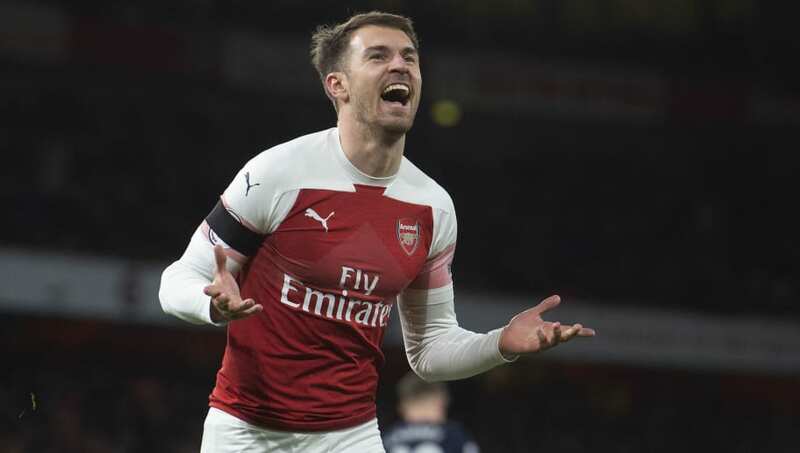 Ramsey's seemingly inevitable move to Juventus comes after Arsenal boss Unai Emery recently stated that the club would only be able to bring players in on loan during the current January transfer window, leaving Keown fuming at the club's affairs. “If Arsenal are admitting they are only able to sign loan players, then it is staggering that they are happy to let one of their prize assets leave for nothing,” he added. “The team are still formidable going forward. Pierre-Emerick Aubameyang and Alexandre Lacazette are good enough to grace any team in the Premier League's top six. But the £100m spent to sign those players last season and hefty wages given to other star players has led to this situation.